← Justice in Conflicts: What’s all the Fuss About? Saif Gaddafi Arrested: What now for Justice in Libya? 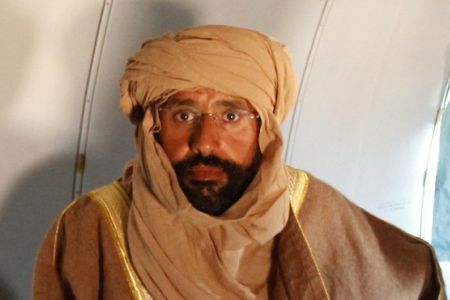 Last Friday night, Saif al-Islam Gaddafi, dressed in the traditional garbs of the Tuaregs, was detained whilst on the run, likely to neighbouring Niger. With the death of his father, Colonel Muammar Gaddafi, Saif al-Islam had become the most wanted man in Libya and one of the most wanted men in the world. Now, bearing injuries from a NATO air raid this past October, he is cowering in some detention facility in Zintan, a few hours outside of Tripoli. So what now for justice in Libya? Journey to the ICC: Over before it Began? Just a few weeks ago, Saif al-Islam made international headlines with reports suggesting he was trying to flee Libya and was willing to hand himself over to the International Criminal Court (ICC). In the wake of the nauseating treatment of Colonel Gaddafi following his capture, it only made sense that Saif al-Islam would want to prevent a similarly brutal fate. What’s more, the ICC chief Prosecutor, Luis Moreno-Ocampo, maintained that the Court had been in contact with Saif’s “intermediaries” to discuss his surrender to the Court in The Hague. Whether or not Saif did get in contact with ICC officials or not, the chances that Saif al-Islam will ever reach an ICC court room are zero-to-none. There are rumours that the Libyan National Transitional Council (NTC) will hold a vote to decide where Saif al-Islam Gaddafi should be tried. While this would be a sensible and democratic approach, it virtually guarantees that Saif will be tried in Libya. Observers are right to point out that, under international law and Resolution 1970, Libya has an obligation to arrange the transfer of Saif to The Hague. However, it seems unlikely that much will be made of this obligation amongst international diplomats and leaders. …Britain will offer every assistance to the Libyan government and the International Criminal Court to bring him to face full accountability and justice for what he has done. Cameron neglects any mention of the obligation to bring Saif to the ICC and like other comments on the issue and much of the rhetoric regarding international justice in Libya, suggests that Libyan authorities will be in the drivers’ seat when it comes to deciding Saif’s fate. What (International) Justice will be served? Despite protestations by the NTC that Saif al-Islam will get a “fair trial”, there are significant potential dangers to having a trial in Libya. Beyond the fact that there has never been a functioning independent judiciary for at least four decades, it is not clear what domestic legal paradigm could be used in trying Saif al-Islam, nor whether international law would be respected in key regards. It’s not a stretch to say that a large number, perhaps even a majority, of Libyans would prefer Saif al-Islam dead – either immediately or following a trial. For many in Libya, the killing of Colonel Gaddafi in the streets of Sirte was quite clearly “justice”. Little was said to dismiss or challenge that sentiment and it is forseeable that killing other key pro-Gaddafi leaders, including Saif al-Islam, will be conflated with “justice” too. There certainly is no shortage of Libyans who would like to do Saif al-Islam physical harm. When the plane carrying him to Zintan landed, the scene was startlingly reminiscent of the images we saw when Colonel Gaddafi was paraded – first alive, then dead – by rebels. 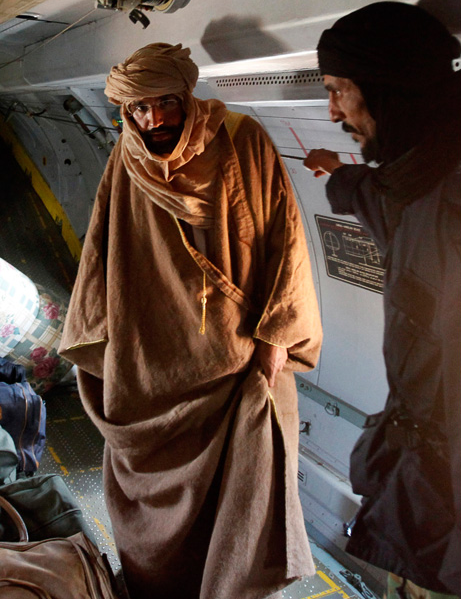 While Saif was transferred from the plane to an awaiting car, some Libyan rebels couldn’t resist kicking and punching him. Even if Saif al-Islam is brought to trial, there remains the risk that the “justice” served to Saif will still be his death. As things stand, it seems probable that Saif al-Islam would face the death penalty if convicted for his crimes. To all of those wary of returning to a time where the killing of another person was equated with justice – with or without a trial – this would be a disastrous and unjust end. Back in August, I outlined my reasons for why the ideal option was for the ICC to hold a trial in Libya for the Tripoli Three. All of these reasons hold true today. Unlike having a trial in either The Hague or Tripoli, an ICC-backed or run trial, based in Libya, would be good for both the ICC and for Libya. It is unclear to what extent the ICC has considered such an arrangement as a legitimate possibility or whether Luis Moreno-Ocampo will bring some sort of justice-sharing agreement up when he travels to Libya next week. Regardless, it is worth noting that, at the very least, there is nothing in the Court’s Rome Statute which prohibits it from running trials abroad. On the contrary, some of its first proponents recognised the potential of the ICC as a traveling Court in exceptional circumstances and this past summer, the ICC very nearly travelled to Nairobi to hold hearings in the Kenyan case. Critics would surely suggest that there is simply no political will or the money to have an entire ICC trial in Libya. But even if the ICC does not run the trial, the Court could contribute resources, including the training of lawyers, some funds and perhaps even judges. With Moreno-Ocampo’s term coming to an end, the ICC’s first ever Prosecutor has the opportunity to put his weight behind an issue that could dramatically improve his legacy. An ICC-backed or run trial in Libya would tell the world that national proceedings could work with the ICC to serve justice, representing something of a new dawn for the Court’s complementarity regime. UPDATE: the other suspect wanted by the ICC, Libya’s former intelligence chief Abdullah al-Senussi, has been arrested in the south of the country. This entry was posted in Complementarity, Human Rights, ICC Prosecutor, International Criminal Court (ICC), Justice, Libya, Libya and the ICC, The Tripoli Three (Tripoli3). Bookmark the permalink. 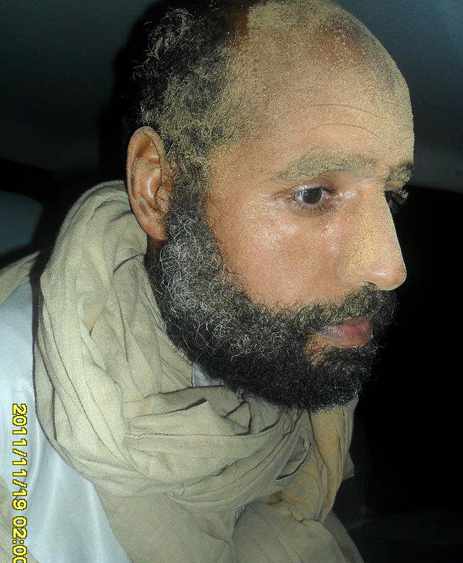 3 Responses to Saif Gaddafi Arrested: What now for Justice in Libya? Basic question – what exactly is Saif-al Islam deemed to be guilty of? The worst punishment for Saif would be to give him some money to maintain a modest lifestyle, exile him to a third country that doesn’t care about him at all (somewhere not too glamorous, so no Switzerland or France, and no Brazil, and no Dubai either…maybe like a Latvia) and ignore him completely. No attention, no press, no nothin’. And the moment he ever tries to go back to Libya, have him terminated “with extreme prejudice”. Firstly, Saif al-Islam was indicted on two counts of crimes against humanity for his role in planning and aiding and abetting the crackdown on protesters in Libya. He was, according to the ICC, the de facto number two in Libya, quite a bit more than just “being from the Gaddafi family” and “having backed the wrong side.” That being said, some commentators, including Geoffrey Robertson think that Saif may have quite a good defense – if he has the opportunity to defend himself in a fair trial. Proving that Saif al-Islam was directly or indirectly responsible for crimes against humanity may turn out to be very difficult for the ICC. Of course, that assumes that the ICC will be the ones who try him, a pretty big assumption at this point. As for your second point, I could not disagree more vehemently. “Cozy retirements” in exile aren’t really punishment, nor are they justice. It’s a very Kissinger-esque, pre-end of Cold War argument that justice is less desirable than just getting rid of people – not to mention your assumption that people like the Gaddafis would prefer to be in a Court room than be “punished” by living in exile. Also, I’d be a bit insulted if I was a Latvian reading your comments! I didn’t say a ‘cozy’ retirement. A retirement to total irrelevance and obscurity, Mark. Think about it for a minute…here’s a guy who was used to being near the centre of things, the big cheese, and now he’d be completely adrift, with no mission or place in life. No one looking up to him or taking orders. I bet you it would be hell on his ego – to feel like just another anonymous Arab. And he’d be cut off from any significant funds, that goes without saying. In the Middle Ages and Ancient Greece, the worst punishment was quite often exile, not death or anything physical. There was a reason behind it. These days, we prefer to warehouse criminals, perhaps indefintiely, but what we do is simply warehouse them, at a high, high cost.